Plateau state governor, Hon. 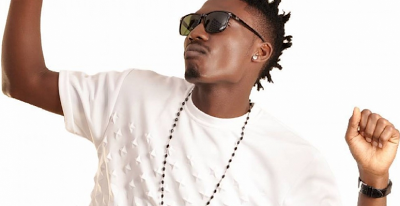 Simon Bako Lalong has appointed BBNaija winner, Efe as the ambassador for entertainment and creative industry in the state. In a press statement signed by the Plateau state's director of press and public affairs, Emmanuel Nanle, the governor felicitated with Efe who grew up in Jos for winning the Big Brother reality show. The Executive Governor of Plateau Sate, Rt. Hon. Simon Bako Lalong has congratulated Mr Michael Ejegba popularly known as ‘Efe’ on his emergence as the Winner of the Big Brother Naija (BBN) TV Reality Show. According to the Governor, the victory of Efe is a further prove of the brotherhood, excellence, courage and determination that characterises the Plateau Spirit. It will be recalled that the Executive Governor had on Friday the 7th April, 2017 called on all Plateau Citizens to stand in solidarity with Efe by voting and mobilizing others to vote for the home grown Actor, who was at the verge of joining the team of successful Plateau Citizens who have won the TV Reality event in the past. The Executive Governor is also using the opportunity of the Victory of Efe to call on all citizens of Plateau State, to ensure that the value they place on the common humanity of her citizens in a multi cultural and cosmopolitan setting, is always seen in the unity of purpose exhibited by all in the collective pursuit of a common goal. The Governor added that though Efe is by ethnic extraction from Delta State, Plateau is proud to lay claim to his entire life’s orientation having been groomed for excellence in life with the values that distinguish the Plateau person. The Executive Governor in his commendation assured the people of Plateau and Delta States, that the success of Efe will provide the additional platform for the consolidation of the relationship between the people of the two States, which had existed right from the early Tin Mining days of the twentieth century. The Governor has further confirmed that he will be receiving Efe as the newest Ambassador of the State in the entertainment and creative industry on his arrival from South Africa soon.